Explore what actions may serve as best entry points for sustainable consumption activities in your community. This self-assessment tool has been developed to help you explore what actions may serve as best entry points for sustainable consumption activities in your community. Far from being prescriptive, this checklist is meant to help you analyze your city’s current state of sustainable consumption activities and to think critically so you can craft initiatives that are relevant, timely, and well received. The checklist is organized by action category (i.e. climate action planning, housing, food, etc.) 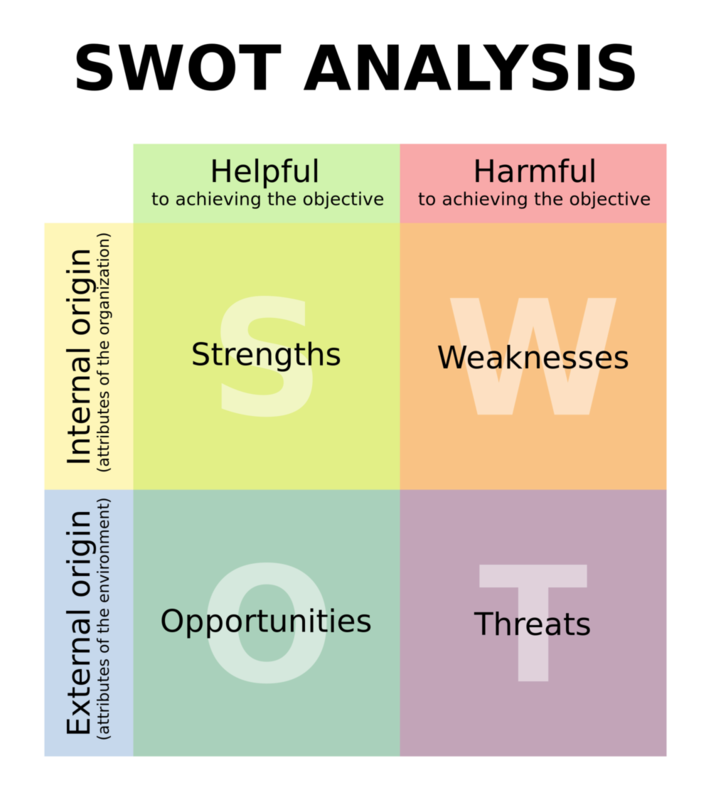 and each category’s assessment includes four steps: 1) Category choice; 2) Assessment of current conditions; 3) Possible next steps in your community related to your chosen category; and 4) a SWOT (Strengths, Weaknesses, Opportunities, Threats) analysis to test your choices and get a deeper understanding of how to move forward. What type of policy or program sounds interesting to you? Choose one of the categories listed here-- these are the same categories we’ve used to organize the city initiatives later in this section-- then move to Step 2. What opportunities do you have in your community to move forward in this area? Where is there momentum? Think about the following conditions and assess whether you meet them. If you don’t meet at least two or three, you may want to consider another category. Leadership buy-in/interest—You have direction from either senior management staff or your elected officials (mayor, city council) to explore this policy topic and propose new programs, policies, or planning efforts. Specific/unique opportunity—You have a set of circumstances that provide a unique, specific or time-sensitive opportunity in this area. The “stars align” in a way that may not again anytime soon. Community partners and assets—You have community members, university researchers, local foundations or other business, non-profit or institutional partners in the community with an interest in this area and they are ready work with you. Staff resources and other support—Staff resources are available that have the capacity to take on new work in this area, either under your direct supervision or in a department with which you have a good working relationship and can build interest and support. You have a budget or access to funding that will support the development and implementation of new policy, programs or projects. Existing policy—You can build on a foundation that has already been established through policy or planning activities. Advancing equity—Your leadership wants to address equity throughout city programs and policies. You have the resources and support to work with vulnerable populations in order to assess barriers, minimize negative impacts and develop solutions that will include their communities. Other—You may have other relevant conditions or assets that are important to consider. Now look at some more specific options to consider as your next step. Many communities have residents experiencing food insecurity when food is being wasted in local gardens, farms, grocery stores and restaurants. This could be an opportunity to promote healthy corner stores, food gleaning and other efforts to prevent wasted food. Does your local government purchase much food? You can work with local partners to develop a sustainable food procurement policy for government agencies, schools and other institutions. Is your community grappling with homelessness or affordable housing? Promoting smaller houses or accessory dwelling units can provide some more affordable options and reduce the energy and material consumption associated with larger homes. What’s the status of your local land use plan? If there’s an update coming, look at incorporating policies that promote walkable neighborhoods. If infill pressures are leading to large homes replacing smaller ones in existing neighborhoods, you could consider regulating housing size through a “McMansion” ordinance. Have you looked at what your local codes allow for alternative housing models such as cooperative housing? Do you have a program for sustainable business practices? If so, there’s an opportunity to build on that by promoting B corporations. Have you completed an economic development plan or will you be updating an existing plan? Consider including an emphasis on business and industry sectors that engage in remanufacturing, repair or reuse. This is also an opportunity to support alternative business models that provide services instead of goods. Also consider new metrics for measuring economic health and community prosperity such as the Genuine Progress Indicator. If you have some interested local labor/business entrepreneurs, you could consider working with them to establish worker-owned cooperatives or multi-stakeholder co-ops. Have any grassroots efforts emerged for community sharing ventures (e.g. food-preservation, clothing swaps, other peer-to-peer sharing entities)? Consider establishing a tool-lending library. Do you have reuse businesses in your community that could expand? This might be a good time to develop programs that support the thrift, reuse and repair industry. One option is through a "resourceful" campaign to promote these options. Or consider a deconstruction ordinance to support the reuse of building materials. Do you have repair businesses or repair professionals that could support a Fix-it Fair or Repair Cafe? A strong do-it-yourself interest in the community will support this approach. Have you completed a climate action plan or will you be updating your existing Climate Action Plan? This is an opportunity to incorporate actions to address consumption - see CAP initiative. Have you conducted an emissions inventory or do you plan to update yours? You can use the Consumption Based Emissions Inventory to profile consumption related emissions and draw attention to the role of consumption. If you have an opportunity to complete or update both (GHG inventory and CAP) consider setting targets or goals to reduce total consumption-based emissions. Do you have a purchasing policy for your city operations or plan to update it soon? This is an opportunity to design a sustainable purchasing policy and lead by example. Have you considered setting reduction targets for the emissions associated with city purchases? This is an opportunity to incorporate these targets in your operational Climate Action Plan and use new tools like the Climate-Friendly Purchasing Toolkit to bring down those supply-side emissions.